The DCW Here Comes The Sun ø 25 cm is a re-edition of a pendant light designed as part of a small light series by the French architect Bertrand Ballas in 1969. By happy coincidence, the founders of the French light manufacturer DCW who specialise in releasing re-editions of old designer lights found a Here Comes The Sun light at a flea market. 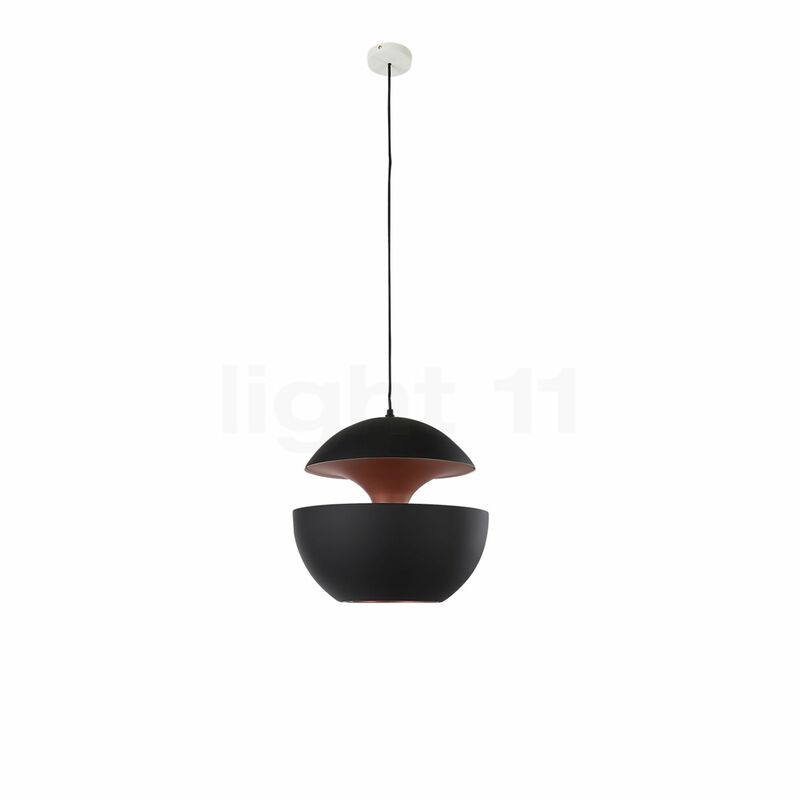 Subsequently, they contacted Ballas in order to produce the pendant lamp at a series production level for the first time. A characteristic feature of the Here Comes The Sun ø 25 cm is its two-part light emission. At the bottom as well as at the sides there are recesses in the almost sphere-shaped body which allow the light to escape. At first sight, the pedant light therefore develops a mysterious fascination that invites the viewer to discover it. The design of the Here Comes The Sun ø25 cm was penned by Bertrand Balas who created the Pendant lights in 1970 for the manufacturer DCW. The soft light emitted by the DCW Here Comes The Sun ø 25 cm looks like a breathtaking sunset. This is realised by the pendant light by supplying soft mood lighting indirectly to the sides and pleasant zone lighting downwards. 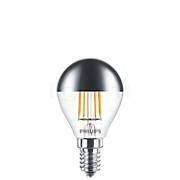 Depending on the surface finish of the inner surfaces, the light has a rather warm or neutral appearance. The Here Comes The Sun ø 25 cm from DCW may be equipped with a 30 W halogen lamp with an E14 base. Then, its light enchants us with a brilliant colour rendering. If you rather want to save some energy and reduce the impact on the environment, the pendant light may be equipped with an LED retrofit. Piece of art! Could be remarkable feature of a dining room or a kitchen. Tell other customers and us about your experiences with the Here Comes The Sun ø25 cm ! The DCW Here Comes The Sun ø 25 cm is ideally suited for illuminating a small dining table. The pendant light then suffuses it with warm zone lighting and simultaneously ensures a pleasant and welcoming atmosphere with soft mood lighting. This lighting effect also makes the Here Comes The Sun a popular lighting solution above a coffee table in the living room. This way, the pendant light becomes a fascinating eye-catcher that provokes discussion.